After the excitement of last weeks WGC, its back to the regular PGA Tour schedule, which rocks up at the Copperhead course on the Innisbrook Resort at Palm Harbor, Florida. 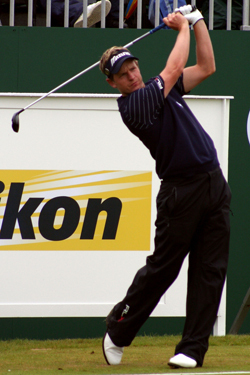 It looks like Luke Donald 12/1 is getting back into the thick of things and his putting stroke and short game seemed to be in a lot better shape than it was against Ernie Els in the WGC Match Play Championship. Its three weeks until the Masters and Luke will want to be finishing around the Top 5 in his last couple of events before the first major of the year. 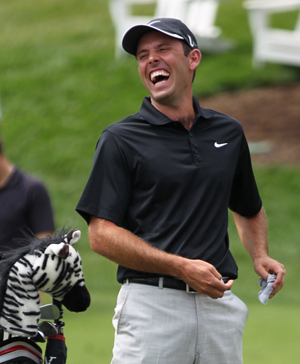 Another player coming into form just in time for this Masters defence is Charl Schwartzel 16/1, he was only a couple of bad putts away from being right in the thick of it last Sunday at the WGC Cadillac Championship, but he will be happy with his current form. Apart from his opening round of 76 John Senden 33/1 had a great WGC last week and his final round of 65 sees the Australian coming in the Transitions Championship with plenty of confidence, having had three other Top 25 finishes, two of which were in the Top 10, from his five tournaments played so far this year. Bo Van Pelt 40/1 had a great week at the WGC Cadillac Championship, shooting a 65 along the way, to finish tied 8th, which was his third 8th place finish this year, from six starts. Defending champion Gary Woodland 50/1 comes into this week having only once finished in the Top 25 this season, he did have fifteen Top 25 finishes last season, with six of them coming in the Top 10. Hopefully defending his title will give him that extra confidence boost his game needs. I do feel this could be a good year for Brendon de Jonge 80/1, but so far this season he always seems to throw in one bad round, like the 78 in last weeks Puerto Rico Open. But I think these are good odds and hopefully we will see Brendon get back to the form that see him have ten Top 25 finishes last year.